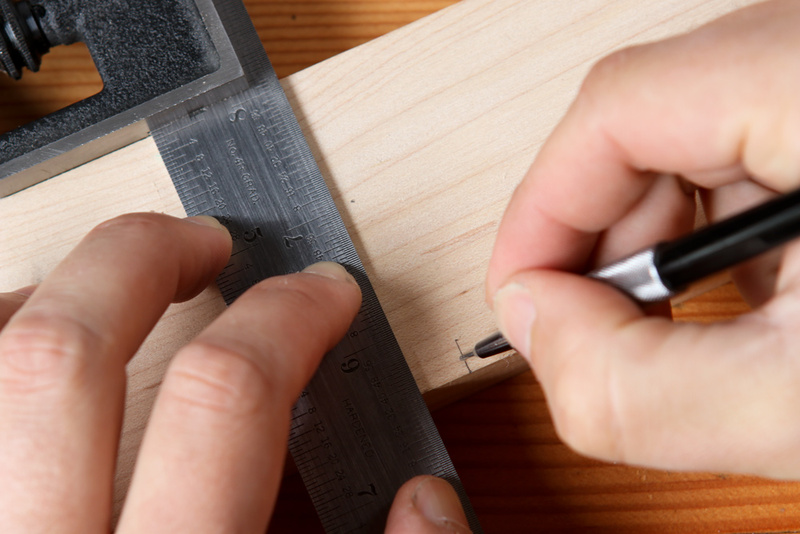 The measuring process usually looks like this. 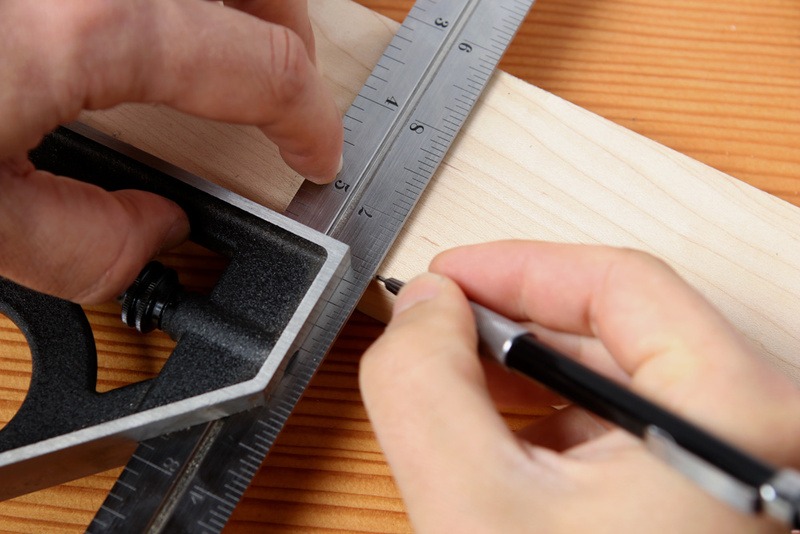 You take a tape measure or long rule and determine the length and mark that spot with a pencil. 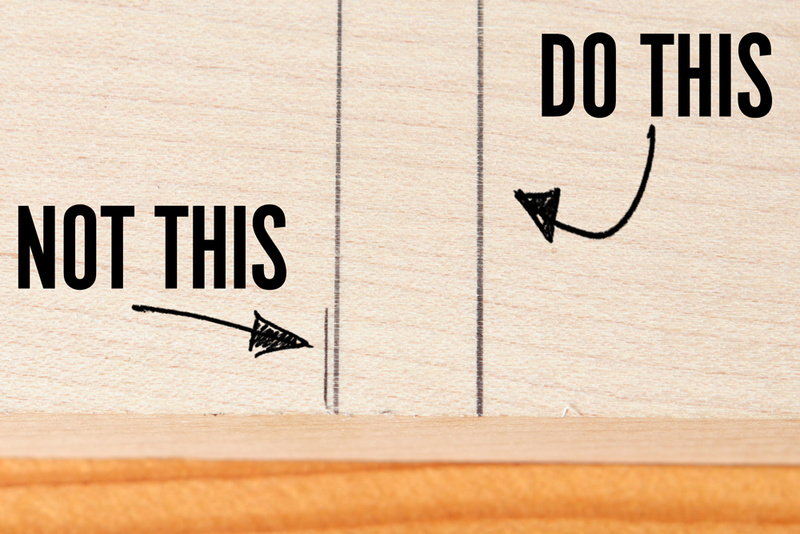 Then, you grab a square and extend you mark across the width of the wood, at a perfect ninety degrees. Then you use a saw to cut it to length. Most often, we'll place the square on the mark, and use the pencil or a marking knife to transfer the line across the face. But here's the rub: the pencil line itself takes up space, often 0.5 or 0.7mm, about 1/64". Compounded across the entire project, those numbers start to add up. 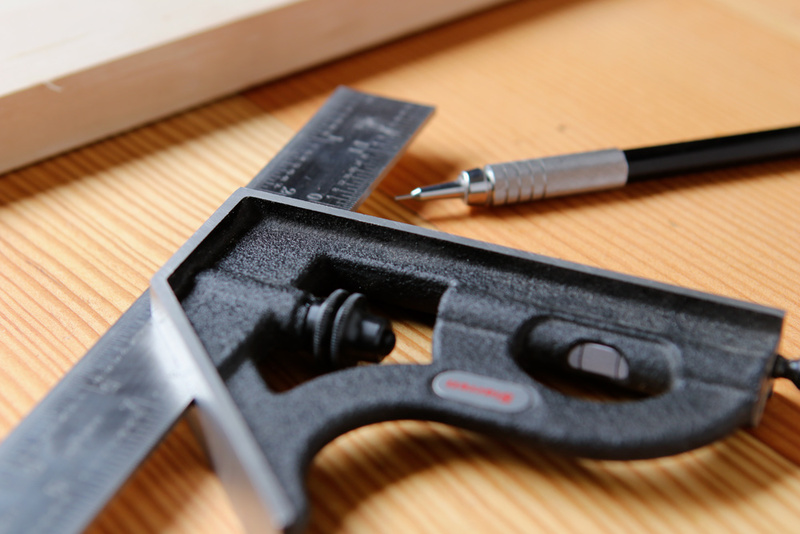 So, instead, don't place the square on your line and run the pencil or marking knife along its edge. Place your pencil/marking knife first, then slide the square up to it to create a long line across the exact same point. It's super simple. 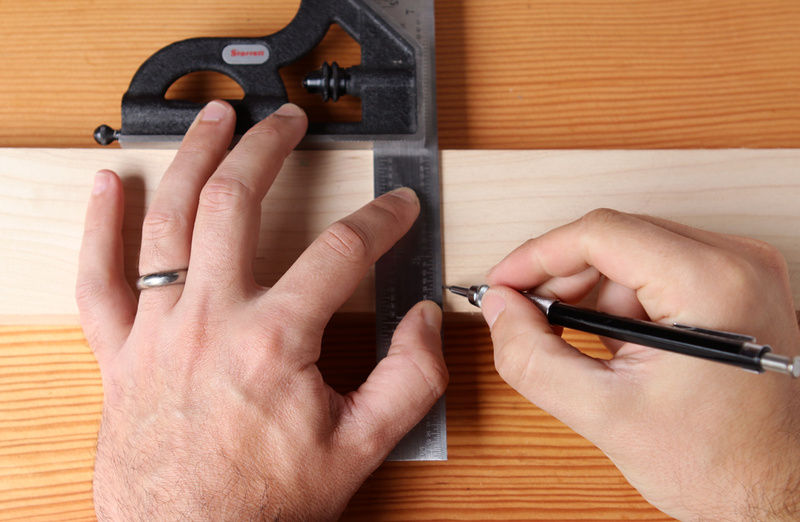 Measure your length, and grab both your square and pencil. Place the pencil on your tick mark. Then, register your square on the edge, and slide to your pencil until it touches the graphite. Now, extend the mark across the face. You can see what a difference this makes in the photo above. Even with a super fine mechanical pencil, the difference is significant. The best thing is: this takes absolutely no more time than doing it the square-first way. It's just a bit of muscle memory and retraining your brain to get it in the habit.